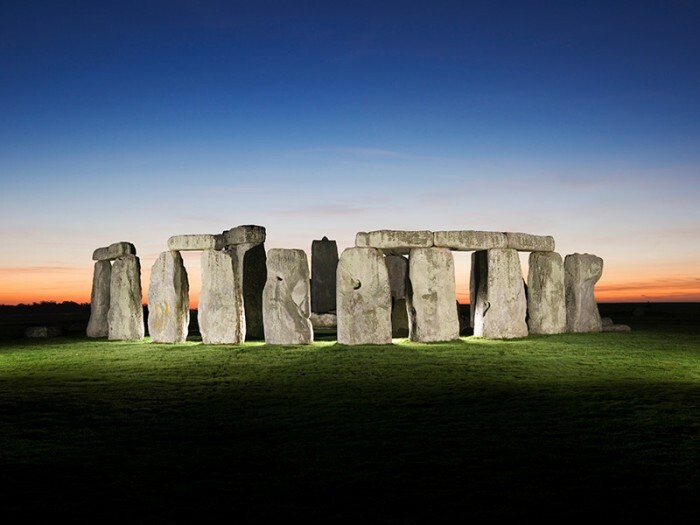 Stonehenge is arguably the world’s most recognisable prehistoric monument, a megalith poster boy for the late Neolithic period that attracts more than 1.3 million visitors every year to an otherwise sleepy corner of the Wiltshire countryside. While the stone lintels make it the most architecturally sophisticated site of its kind, Stonehenge is far from the only surviving engineering masterpiece in the area. Indeed, when UNESCO named this one of Britain’s first World Heritage Sites in 1986, it did so as part of a 6,500-acre swathe of southern England that also takes in Avebury, the world’s largest prehistoric stone circle, and Silbury Hill, Europe’s largest prehistoric mound. Despite centuries of studies and speculation, the true nature of Stonehenge remains a mystery. In 1136, Geoffrey of Monmouth suggested Merlin used magic to transport the huge stones from Ireland, while the Georgian antiquarian William Stukeley became obsessed with druids and believed the henge was an astrological observatory. Classical architect Inigo Jones studied the site in the 17th century and concluded it must have been the work of the ancient Romans. Recent archaeological digs and carbon dating helped establish some facts at least. A circular ditch was dug on the site around 3000 BC into which, some 500 years later, the stones were set up. These comprised two types: larger sarsens from the nearby Marlborough Downs and smaller ‘bluestones’ from the Preseli Hills, more than 150 miles away. While we shall probably never know how and why they were brought here, they remain some of the most coveted and fascinating stones in the world. In 1857, the opening of a direct rail route from London to Salisbury saw a huge increase in the number of Stonehenge day-trippers. These Victorian tourists were largely unconcerned with the sacred nature of the site, so often leant against the precarious sarsens or carved their names into the stone. Stonehenge was still privately owned less than a century ago. It was bought at auction on 1915 by Cecil Chubb for £6,600 and gifted to the nation three years later. While the wealthy Wiltshire barrister was knighted for his generosity, his wife was rumoured to be less than pleased – she apparently only sent him to the auction to buy a pair of curtains. In 1877, noted evolutionary theorist Charles Darwin conducted some of the first archaeological digs at Stonehenge as part of his studies on earthworms.